We have very good news for our San Francisco Bay Area fans! At long last, Alaska Far Away will have its San Francisco premiere. Join us on Friday, July 15 at 7:00 p.m. for a free screening at the Premiere Theatre at the Letterman Digital Arts Center. Not only is this a rare (the Bay Area has been waiting eight years!) 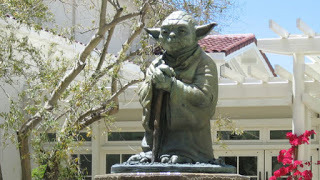 opportunity to see Alaska Far Away on the big screen, but it also a highly coveted opportunity to visit the Premiere Theatre – yes, the building guarded by the Yoda statue in the Presidio. Tickets for this event are free, but because of the security protocols at Letterman Digital Arts Center, you must reserve your tickets online. Seating is limited, so don’t wait. Just click here to reserve them on Eventbrite. Next PostNext At Last: Alaska Far Away Comes to the Bay Area!